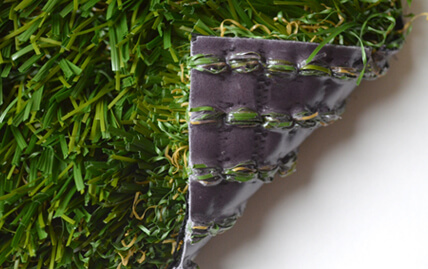 XGrass synthetic turf utilizes a two-part backing system including a triple layer composite backing for improved dimensional stability along with a number of secondary backing options to match the specific needs of your application. Our team can help specify the ideal solution for your particular application. 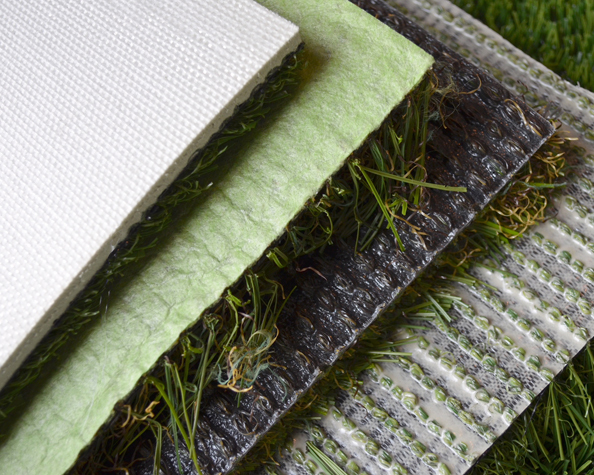 The DuraFlo all-polyolefin backing system is 100% recyclable and up to 50% more permeable than perforated urethane backed products. The most common backing used in the industry for decades due to its durability, performance and cost. 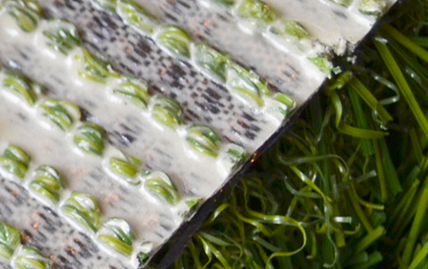 An excellent backing material when drainage concerns are minimal. 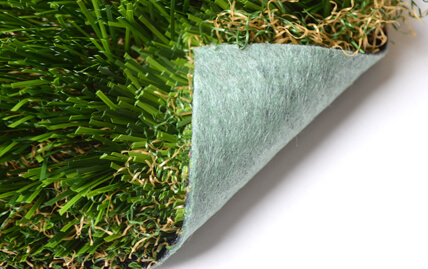 Developed primarily for use in XGrass Pet Turf systems, our TruFlo backing system is ideal for applications requiring increased drainage. 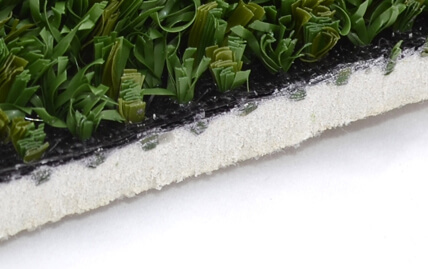 Used extensively for indoor fields, baseball batting cages and putting courses installed over concrete, our urethane cushion backing provides maximum cushion while aiding and softening ball rebounds. © 2019 XGrass | All Rights Reserved.